Genealogy's Star: Have I mentioned the FamilySearch Research Wiki Recently? Have I mentioned the FamilySearch Research Wiki Recently? 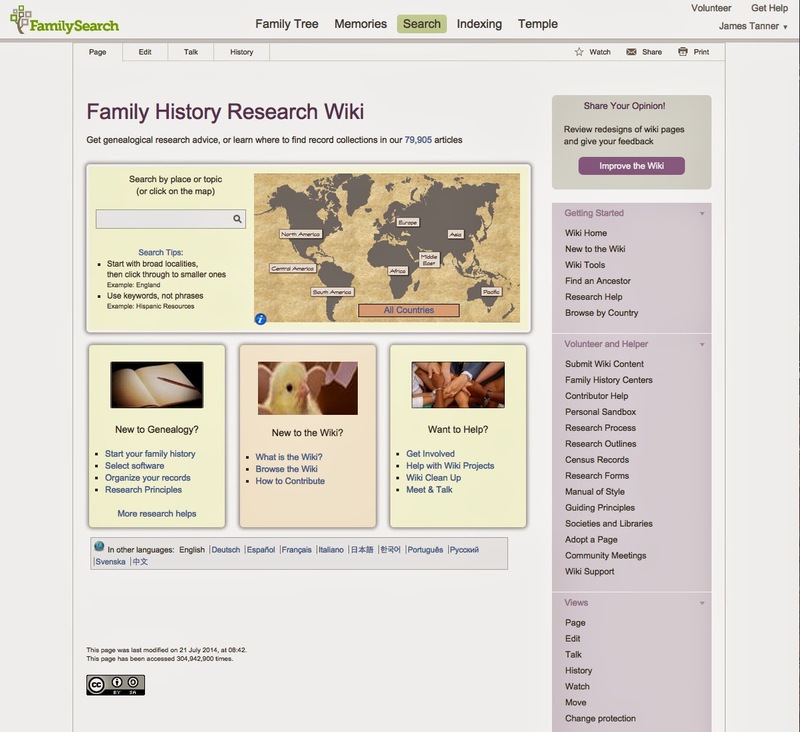 The FamilySearch.org Research Wiki is the one most valuable genealogical resource on the Web. I make no qualification in making that claim and have repeated it time and time again. The Research Wiki presently has almost 80,000 articles. All of these articles contribute to the general information about genealogy: how to, where, why, when, and every other question you can think up. 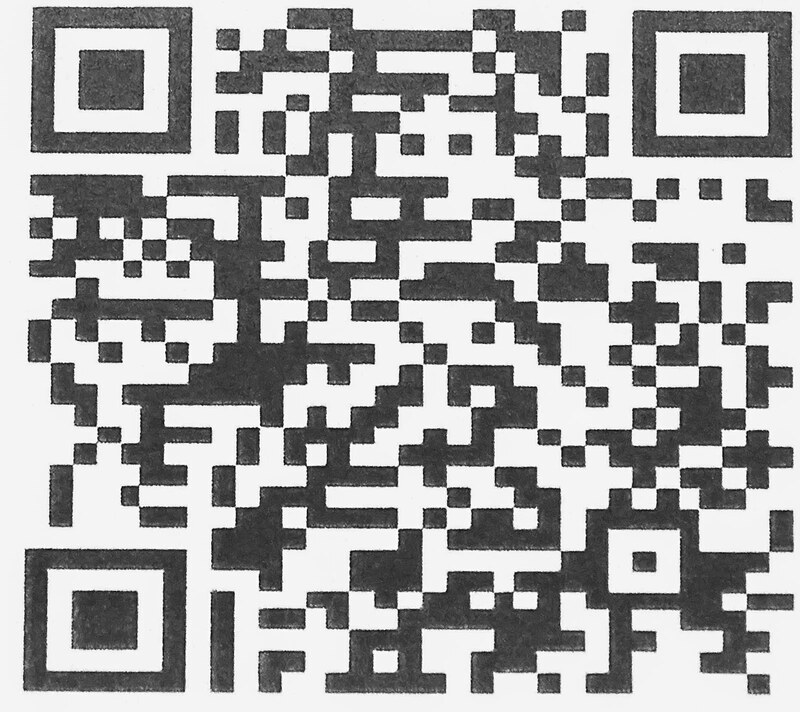 No other innovations of the computer age show more promise to provide such an extensive benefit to genealogists than the systematic digitization of millions of original source documents and the systematic organization of those documents in a program called the FamilySearch Research Wiki. Understanding the organization and structure of the Research Wiki should be an indispensable part of every genealogist’s basic education. An active website is ever changing. By its very nature, a wiki may change daily as contributors add and edit the information contained in pages and articles. The Research Wiki is no exception, on the average over the past few months, the contributors to the Research Wiki have added hundreds of new pages. In this sense, the Research Wiki is always under construction. Although the content of the Research Wiki will change, the basic functions and structure of the Research Wiki will not substantially change. It is important to realize that the content of the Research Wiki, just as with any other wiki, is user driven. Any registered user of the Research Wiki can edit content, add content, delete content or make any other changes. Although many people initially view this collaborative element of the Wiki to be a flaw, it is really the Research Wiki's greatest strength. However, the Research Wiki is not a "pure wiki." It is a moderated wiki. Moderated wikis generally have a hierarchy of access depending on factors influencing and allowing access set by the wiki owners or supervisors. In this case there is a Wiki Support Team, which watches over the Wiki. The purpose of these watchers is to maintain the integrity of the Research Wiki. They are partly concerned that the content of the Wiki does not violate the Wiki's guidelines. See FamilySearch Wiki:Guiding Principles. Essentially all of us who have been working on the Research Wiki, have put into its articles (pages) our combined knowledge about the process and sources for discovering our ancestors. When I say "our ancestors," I mean the combined ancestors of all those living on the world. It is a work in progress. It will continue to change and evolve. Unless it is consciously abandoned, it will continue adsorb information as long as there is information to adsorb. From my perspective, it is interesting that so few researchers utilize the Research Wiki's potential. The more people that use the Research Wiki, the more information it will accumulate. Certainly, there are parts of the Research Wiki that are deficient. Instead of dismissing it because of its deficiencies, these holes in the data should be an invitation to share your own information with the rest of the genealogical community. Oh, by the way, the Research Wiki contains all of its own instructions. It is it's own guide book and manual. The print size and appearance is a challenge to my eyes; I would be more excited about the wealth of info at the site if I didn't have to constantly have to adjust the display of that info with the Ctrl+. Am I the only one who is having trouble with this? The print size has nothing at all to do with the website. How you view the text on your computer is a function of your operating system settings and your browser settings. You may need to ask someone to come in and help you get the settings right.